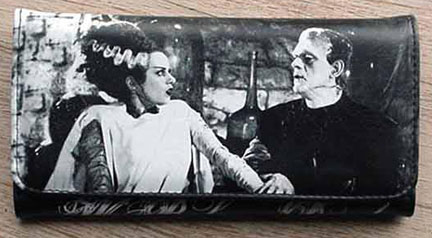 Oh, the happy couple.. Vinyl wallet, tri-fold.. Plenty of pocket's inside too. for ID, cards etc.. Size: 7 1/2 x 3 1/2", no chain.. Please contact us to find out if your selection is in stock.